WATERLOO: July 24, 2008 --- When Tarzan was first introduced to the public as a 1912 pulp fiction character, Thomas Metcalf, head of "All-Story" magazine, added a special note to the tale. 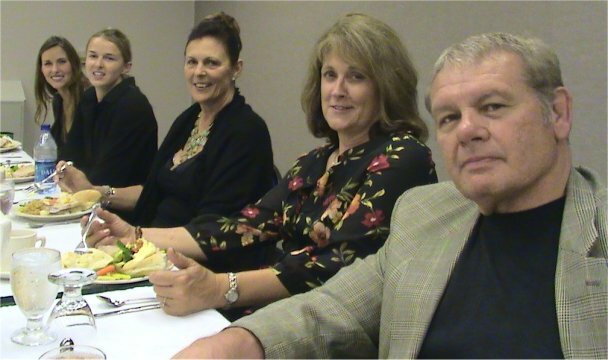 "If you will stop and realize how many thousands and thousands of stories an editor has to read, day in, day out, you will be impressed when we tell you that we read this yarn in one sitting and had the time of our young lives," he wrote. Ninety-six years later, fans are still enamored with the brave jungle king. 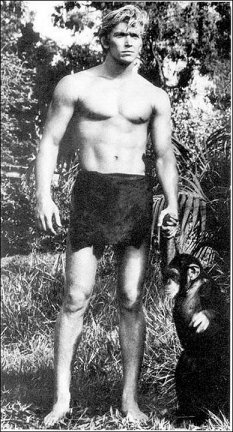 On Friday, a two-day convention in Waterloo will celebrate Tarzan, one of history's most popular fictional characters. "Dum Dum 2008" --- named for Tarzan's term for a gathering of the great apes --- will include a memorabilia trade show, a seminar about Tarzan comic book art and a visit from former ape man actor Denny Miller. Mike Chapman, executive director of the Dan Gable International Wrestling Institute and Museum, coordinated this year's conference. 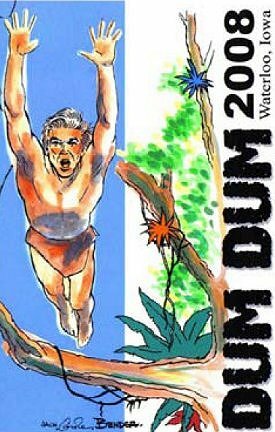 Tarzan fans from across the nation have been holding "Dum Dum" events for the past 40 years. Chapman has attended about 10 gatherings, organizing two prior meetings in Newton, Iowa, and Fort Collins, Co. But the upcoming Cedar Valley bash is especially dear to the Waterloo-native's heart. He vividly remembers trooping downtown with friends to the former Paramount Theatre to watch "Tarzan, the Ape Man" in 1959. "I'll never forget the movie," said Chapman, who was 14 at the time. 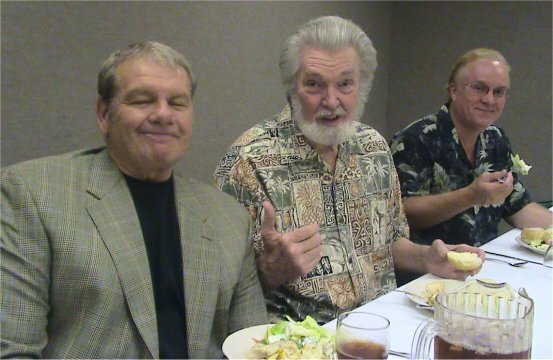 "So for me to bring Denny Miller, one of my favorite Tarzans as a kid, to Waterloo, is a huge treat." Like many Tarzan fans, Chapman has amassed a large collection of ape man books, comics and movie paraphernalia. One 1938 film poster is now worth $8,000. But for the 64-year-old, who has published two books about Tarzan actors, learning about author Edgar Rice Burroughs' finest creation is not just about preserving history. It's about honoring the spirit of Tarzan. "He wasn't the village idiot you see in a lot of the earlier movies; he was bright and articulate," said Chapman. "He would always stick up for the underdog. There was no gray area with Tarzan. If you were an evil-doer, he was going to get you." 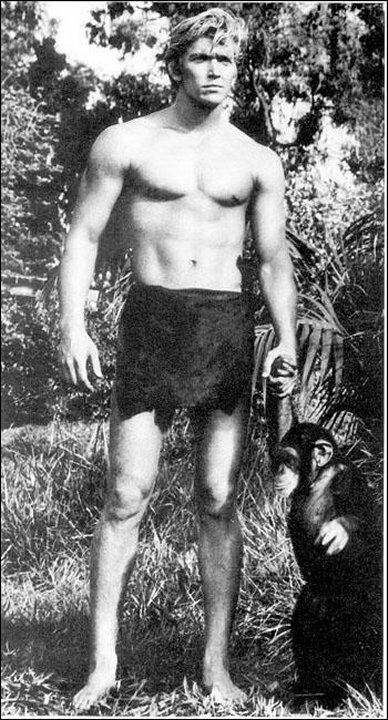 Actor Miller calls Tarzan "advanced before his time," a character who respected women and made friends with the local inhabitants. 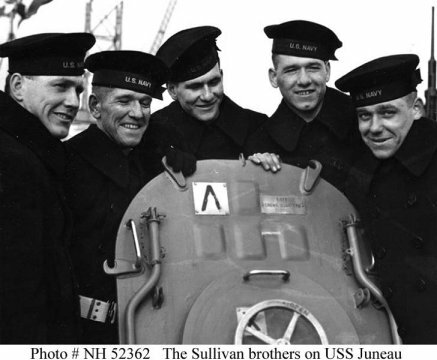 "He was kind to everybody but the bad guy, and he always won," said the 74-year-old. "He wasn't sneaky about it. He just went and clunked them on the head or put them in a jungle jail and went on to his next adventure." Miller, who was picked for the role after a talent agent saw him walking shirtless down Sunset Boulevard, went on to appear in several television programs and films. And although he doesn't consider "Tarzan" his finest role, through the years he's enjoyed learning more about the icon from the character's loyal fan base. "I think my best Tarzan memories are still to come," said Miller, who has attended nine "Dum Dums." "There's something about these conventions. I get to catch up with old friends and I always meet new ones." Apart from the banquet and auction, all Tarzan events are free and open to the public. 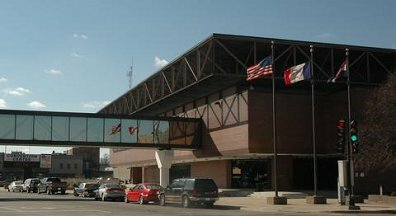 About 100 people are expected to travel from across the country for "Dum Dum," said Brooke Burnham, with the Waterloo Convention & Visitors Bureau. She hopes that those fans are joined by local residents at the conference, which will be held in conjunction with Saturday's Iowa Comic Book Club show. "I think it'll appeal to a lot of people, even if they aren't specific Tarzan fans, they may be fans of Edgar Rice Burroughs or want to come for the comic books," Burnham said. "It's something a little off the wall that people of all ages can get involved with." 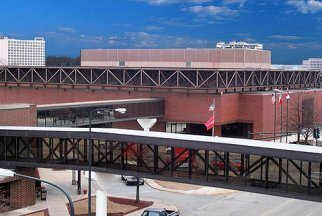 WATERLOO: Sunday, July 27, 2008 --- A visiting starship trooper and Tusken raider garnered no more than a fleeting glance Saturday morning from attendees at the Tarzan conference in downtown's Five Sullivan Brothers Convention Center. 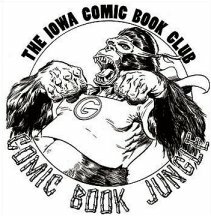 The Star Wars characters, visitors from the adjacent Iowa Comic Book Club show, simply joined ape man fans in appraising the array of books, movie posters and other memorabilia for sale at this year's jungle king gathering. After a few chuckles, the Tarzan crowd went back to business, discussing what they consider one of the world's greatest fictional characters. In fact, Tarzan author Edgar Rice Burroughs paved the way for future creators, like George Lucas, to convert a solid story to an entertainment empire. "Before him, there was no such thing as a cult following of anything," said Bob Jacoby, of Birmingham, Ala. "I believe he was the man that created media hype. The entire idea of a publicity campaign goes back to Burroughs selling his stuff." And sell he did. After introducing Tarzan to the public in 1912 as a pulp fiction character, Burroughs went on to pen 26 Tarzan novels. Those pages have inspired more than 50 movies, a radio show, several television programs and numerous comic books over the last nine decades. Burroughs also marketed his hero's image, giving the green-light to Tarzan brand breads, matches and even gasoline. The result: Generation after generation of Tarzan fans, many of whom traveled to Waterloo this weekend for Dum Dum 2008. 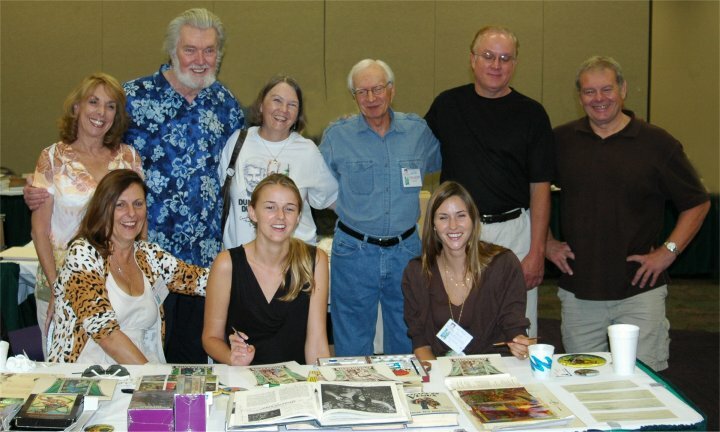 The national conference, named for Tarzan's term for a great ape meeting, featured former ape man actor Denny Miller and Alley Oop and former longtime Courier cartoonist Jack Bender. Mike Chapman, executive director of the Dan Gable International Wrestling Institute and Museum, coordinated this year's event. 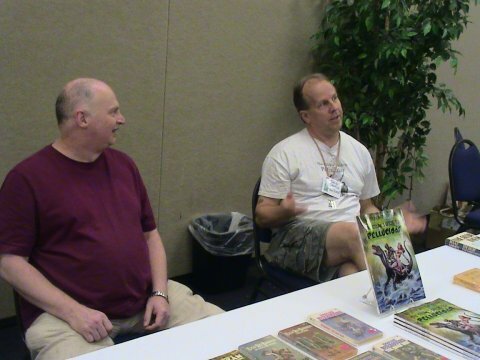 Bender spoke Saturday about Tarzan comic strip art. The Waterloo native got hooked on Tarzan at age 8 after watching the 1939 film, "Tarzan Finds a Son!" "The Tarzan story is the story of the evolution of man, really," Bender said. "I don't think you ever lose your primal instincts, or (the vision) of what you can become --- and he does all of that in just the first book." Burroughs' Tarzan was a strong and decisive character, a person who had an open mind, but was also action-oriented, said John Tyner, part of a Washington D.C. Burroughs fan club and a member of the worldwide Burroughs Bibliophiles. His U.S.-based group meets once a month to discuss Tarzan novels, sometimes even sharing alternate endings for some of Burroughs' work. "Tarzan's story is an action story, but Burroughs also developed his characters and paid attention to the interactions between those characters," he said. "You can pick them up today and still be amazed." The Waterloo conference attracted about 150 attendees, including visitors from France and England. 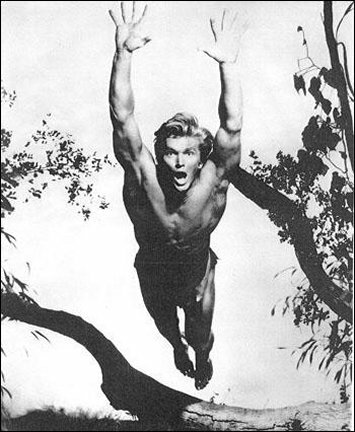 For the past 40 years, Dum Dum events have given Tarzan afficionados the opporuntity to share their passion with others, Tyner said. One of the group's goals is to keep the spirit of the jungle king alive in the hearts and minds of the today's youth. "We'd like to see more young people read Burroughs and learn about Tarzan," he said. "It's a timeless story that can be appreciated by just about anyone and everyone." 6:00 - 9:30 p.m.: Friday'loo Outdoor Concert Series featuring Orquesta Alto Maiz. at Lincoln Park. 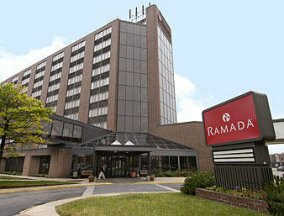 Ramada Hotel guests may take the free shuttle to and from the event. Food and beverage vendors will be present! No charge. 11 a.m. - 12 a.m.: Tarzan comic strip artwork, an analysis, chaired by Jack Bender, artist for the nationally-syndicated comic strip Alley Oop and a longtime Tarzan comic collector. Sunday, July 27th, 2008 9 a.m.-noon: Farewell Breakfast—At your leisure. Red River Restaurant , main floor of the Ramada Hotel. VII: BB Banquet Photos .